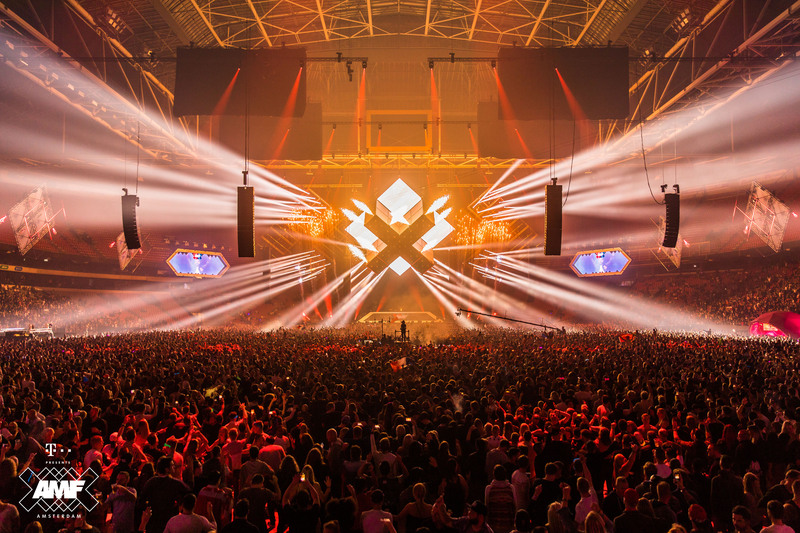 With only one more month of high anticipation, AMF, the largest festival of the annual Amsterdam Dance Event has dropped its final lineup and fans from all corners of the globe can hardly wait to experience this unforgettable night. Gracing the stage on October 20th is none other than legendary Axwell /\ Ingrosso, at the John Cruijff ArenA. Boosting up the excitement is the return of Two Is One, the electrifying concept which began last year as Trance King Armin van Buuren and electronic icon Hardwell teamed up for a once in a lifetime performance. 2018 is upping the ante of Two Is One with the grandiose collision between Dimitri Vegas & Like Mike and David Guetta, who have one of the most sensational back2back sets in the works. As this is their debut performance, crowds can count on this being one for the books, and a slice of electronic music to go down in history. As if these three artists weren’t champion enough, AMF’s thrills roll on with monumental sets by KSHMR, Vini Vici, Lost Frequencies, Sunnery James & Ryan Marciano, W&W and Salvatore Ganacci. Supported by Valentine, this intricate array of DJs is going to bring together the electronic music community together like never before. Perhaps one of the most adrenalizing moments of AMF, the DJ Mag Top 100 DJs Award Ceremony will take place for the sixth consecutive year. Standing as the most globally representative poll of the world’s most popular DJs with over 1 million unique votes cast in 2017, fans are more than eager to see how their votes will turn out at the crowning of 2018’s Top 100 DJs winner. Following their iconic reunion at Ultra Miami Music Festival back in March, powerhouse trio Swedish House Mafia is officially confirmed by member Sebastian Ingrosso to hit the studio and head back out on stage sometime next year. With this enormous comeback, AMF could potentially be one of Axwell /\ Ingrosso’s last sets for the near future in Holland, surely making it a heartfelt highlight to not be missed.